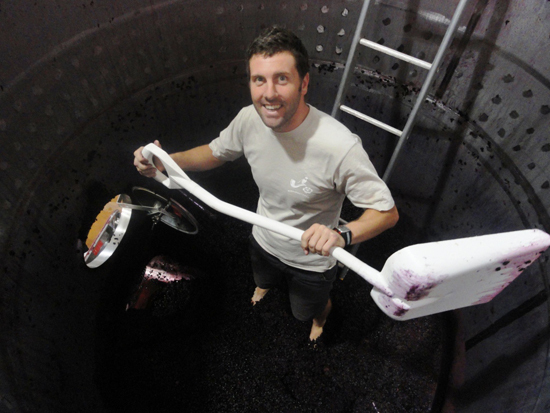 After finishing the pumpovers during fermentation, we drain the wine into another tank. After shovelling all the skins into a big basket, they get compressed, and the resulting skincake is used to turn into compost, which returns to the ground… and the cycle begins again. Take a look at the wines we currently have for sale on our online shop, and keep an eye out for new additions too.